Despite such a talented roster, the past few weeks, months and years have been emotionally exhausting for all Steelers fans. The team has been more of a reality television show than the hard-nosed football team we have become so accustomed to seeing throughout the history of the franchise. In 2019 the Steelers may finally be able to play football again without constant attention from the media for distractions created by their now former ‘diva’ players. We all will no longer need to worry when or if Le’Veon Bell is going to suit up, they have moved on to the younger and cheaper option in James Conner who is undoubtably becoming a star. Bell will take his talents to New York where he’ll look to rebound after missing an entire season to “reset the RB market” only to take less money from the Jets than previously offered by the Steelers. Should he take a big decline keep in mind he is fortunate to have his rap career to fall back on. Antonio Brown called god and got sent to the black hole where he will learn the grass is not always greener elsewhere. The Steelers obviously have taken a hit talent wise with Brown’s departure but let’s be honest, JuJu is a number one on 95% of NFL rosters and as long as Ben Roethlisberger wears black and gold the offense will thrive. Especially behind the best offensive line in football. The Steelers are also the best team when it comes to drafting receivers, James Washington is still very young and showed great promise in college. With ten draft picks they could also likely select their next diamond in the rough at the position. The uncharacteristic moves made in free agency show they have urgency to create a balanced football team in 2019. The team has signed Steven Nelson, a Pro Bowl caliber cornerback to pair with Joe Haden, thus ending the Artie Burns experiment. They have also signed Donte Moncrief, a solid wide receiver to pair with JuJu Smith-Schuster and James Washington. Lastly, they signed Mark Barron the hard-hitting linebacker from the LA Rams. He will likely replace Morgan Burnett in many defensive schemes this season which is a relief considering how terrible Burnett was last season. 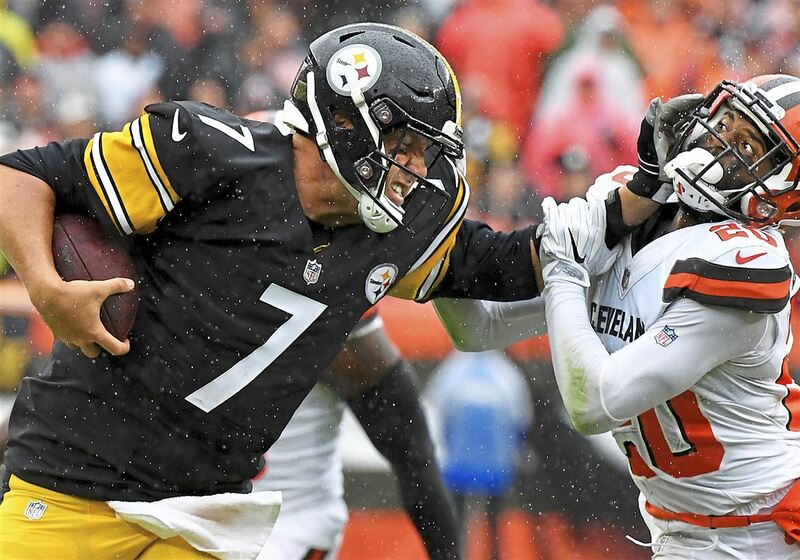 Finally, with the draft fast approaching the Steelers are inevitably going to do their best to select a stud Inside Linebacker with Ryan Shazier’s career likely over and Jon Bostic proven an unsuitable replacement. The hope is to have the opportunity to select one of the Devins but this may require moving up, thus making an EDGE rusher a possible option at the 20th pick. Bud Dupree is in the last season of his contract, with below average production the team will likely look elsewhere come next season. The Steelers have met with Chase Winovich former defensive end for Michigan University recently who is a very popular name in the upcoming draft. No matter which direction the team heads they will have ample opportunity to improve with 4 picks in the top 100. What should you expect for next season? Expect a balanced and grind it out football team hungry to prove they don’t need the guys who quit on them to win games. The plan is been in place, yinz just need to have a little faith.